Archbold’s invites 3rd-5th grade classes to discover science first hand, and learn more about the incredible history and plants, animals and natural cycles found in Florida. On this page, visitors can download field trip registration forms and access a variety of free 3rd-5th grade educational materials related to Florida scrub ecology. Bring your students to the heart of Florida for a visit to Archbold Biological Station, an internationally recognized science field station and nature preserve. Your class can learn from Archbold’s 75 years of science and conservation, while exploring one of the world’s rarest and endangered ecosystems, the scrublands of Florida’s ancient relict dune island, the Lake Wales Ridge. Archbold’s Elementary School Program is a 3rd-5th grade field trip program, based on Florida’s science standards, and focused on the ecology of the Florida scrub habitat. The 2 ½ hour science field trip includes: a guided nature tour, animal tracking, meeting a live snake, visiting a weather station, and exploring the exhibits in our Learning Center. Visiting classes receive a free Florida scrub coloring book and are encouraged to use Archbold’s pre-visit lessons and videos found on the page. Archbold’s field trips are offered at no cost to Florida’s public schools. Private schools are charged $100 per class (class size up to 25 students). Schools are encouraged to bring a bagged lunch that can be eaten at the Learning Center’s Prairie Porch. To book your class contact the Education Department by email or call (863)465-2571x233. Archbold’s Science in the Scrub lessons are classroom activities for 3rd-5th grade students learning about Florida’s plants and animals. All Science in the Scrub lessons are aligned with the Next Generation Sunshine State Standards. 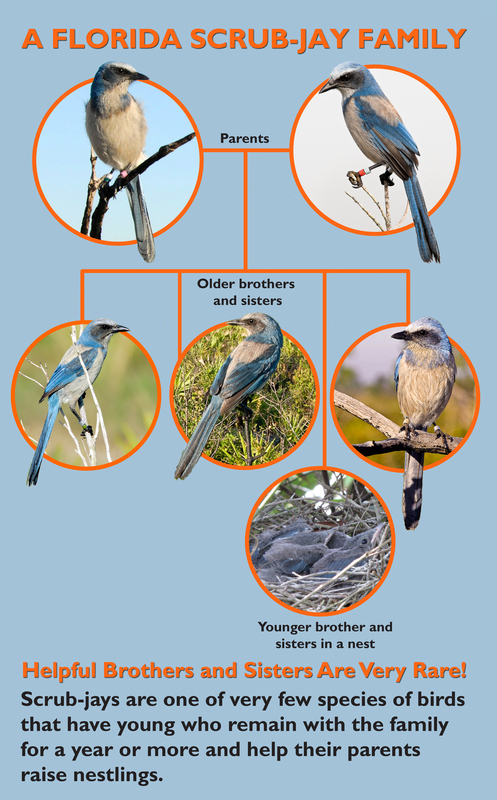 In this lesson, students learn how Florida Scrub-Jays rely on family for survival in the Florida scrub, and how scientists use banding and long-term research to understand and protect this endangered species. Students watch a video about Florida Scrub-Jays, then work in pairs to identify the roles that family member share. In this lesson, students learn about the components of food chains in the Florida scrub habitat. Students watch a slide presentation, then work in small groups using print-outs to model food chains and food webs. In this lesson, students learn about how scientists classify animals and how animal skulls reveal clues about how animals live. Students watch a video, then work in groups to complete a skull matching activity. 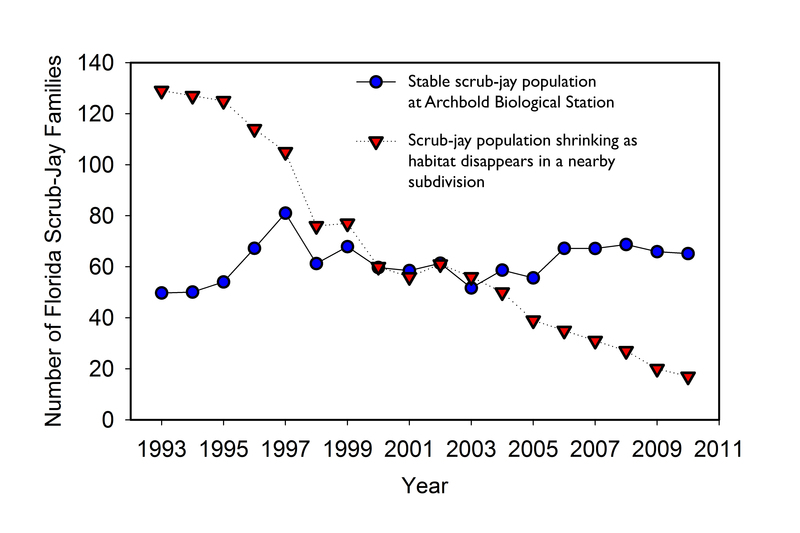 DISCOVERING the FLORIDA SCRUB: An Outdoor Education Curriculum. Contact us for more information. Call the Education Department at (863)465-2571 x233 or e-mail.